Having previously been a teacher, Lucy understands the strain that desk work can put on to the body. A thorough understanding of biomechanics enables Lucy to tailor her treatment approach to suit the challenges faced by different bodies at work; whether it’s manual work, like building, painting or plumbing, or workers who have to use a computer. 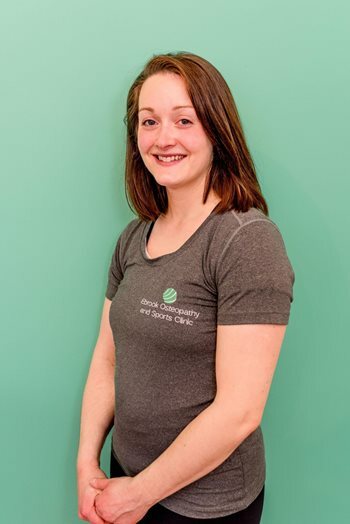 Lucy is qualified in Sports Massage and Remedial Massage techniques. She’s our go-to practitioner for soothing tired muscles, lymphatic drainage techniques, or for relaxing massage. Ever keen to learn, Lucy started her studies for her BSc Podiatry degree in Birmingham in September 2017. The knowledge gained on her course is already proving useful in clinic, as she integrates her understanding of gait and biomechanics into the treatment of sports injuries for runners in clinic. When she’s not at work, Lucy is busy raising her two gorgeous children, April and Teddy, with her husband John. Each practitioner is insured and fully registered with their regulatory body to provide our patients with the finest care. Sign up to receive our newsletter email.